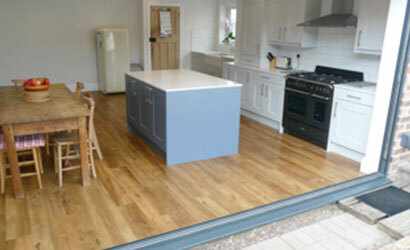 This customers’ existing layout consisted of three small rooms which didn’t suit the needs of their growing family. They wanted to open it all up into one large space and get a better view of the garden. Our job was to coordinate taking out the side door and blocking it up to be a window, removing the internal walls and open up the back of the house for bi-folding doors. This was no mean feat and required a pretty hefty piece of steel followed by lots of electrical preparation and a few days of plastering. 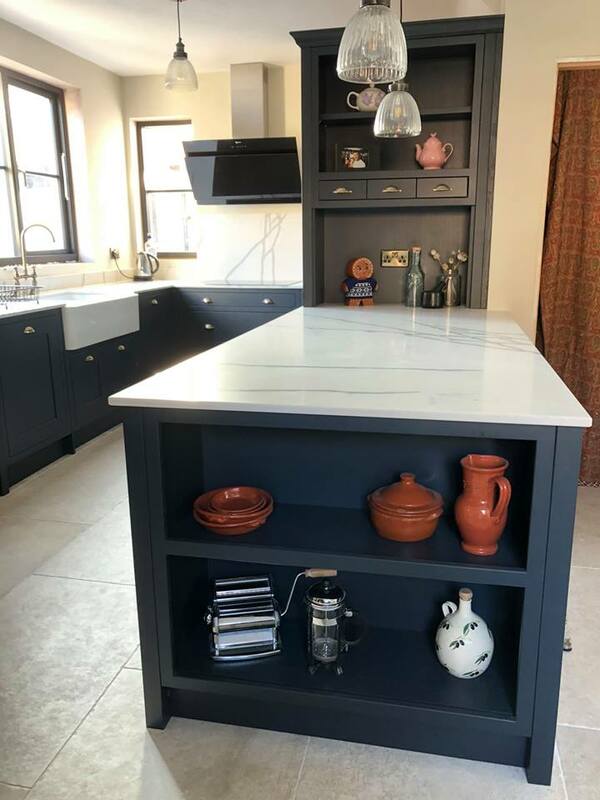 Once this side of things is taken care of, we could start to install this lovely Stowe Light Grey kitchen and contrasting Pale Navy Island with Blanco Rivers Silestone throughout. The brief was for something neither modern nor traditional and it had to be something practical and easy to keep clean. 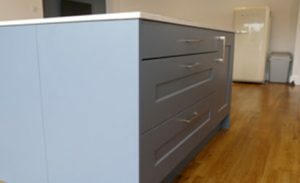 The smooth painted finish and chamfered shaker styling of Stowe made it the perfect choice. 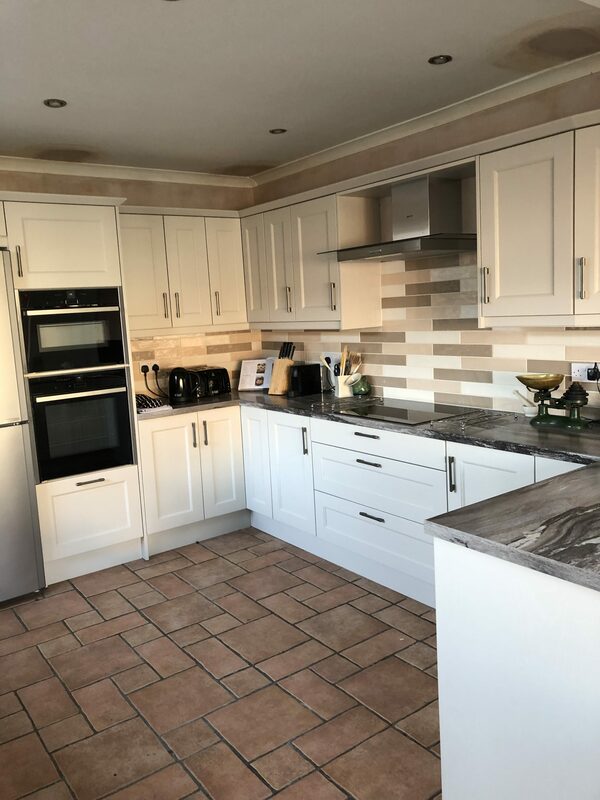 The Belfast sink and Range cooker are lovely features but the washing machine has been stowed away and the dishwasher is integrated keeping them out of sight. This lovely, rich, woodgrain Karndean finishes off the room and brings a warm, homely feel and is practical to cope with the coming and going from the garden. 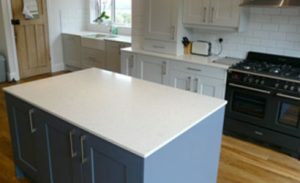 We loved how much this project transformed this home and we know our customer did too.